MUMBAI: Their brother-in-law, Kanye West, may be feuding with Drake, but that didn't stop reality TV stars Kylie and Kendall Jenner from attending the rapper's party. The sisters were spotted at Drake's star-studded private bash on Monday at Delilah in West Hollywood, California, where guests, including Chris Brown, Niall Horan, Idris Elba and Kate Beckinsale, partied their way into 2019, reports etonline.com. Kendall was photographed outside the hot spot with basketball player Ben Simmons, while Kylie was seen at nearby restaurant, Craig's, with boyfriend Travis Scott, before reportedly heading to the party. Instead of confetti, at midnight, guests were showered with leather gift boxes, featuring bottles of Drake's new champagne brand, Mod Selection Champagne, which originates from the Vallee de la Marne in France. Kylie and Kendall's presence at Drake's party was notable given their family's recent drama with the performer. Last month, Kanye reignited an ongoing feud with the Canadian musician by slamming him on social media. "Been trying to meet with you for six months bro," Kanye tweeted at the time, before referencing wife Kim Kardashian West's mother, Kris Jenner, as well as Scott. "You sneak dissing on Trav records and texting Kris talking about how's the family." Kanye also reiterated his claim that he didn't tell rapper Pusha T about Drake's son, Adonis, which Pusha T exposed in his diss track, The story of Adidon. Drake responded by posting a picture on Instagram showing him looking unfazed and using a purple demon emoji in the caption -- a possible nod to Kanye previously claiming that Drake sent him purple demon emojis while he was struggling with mental issues. 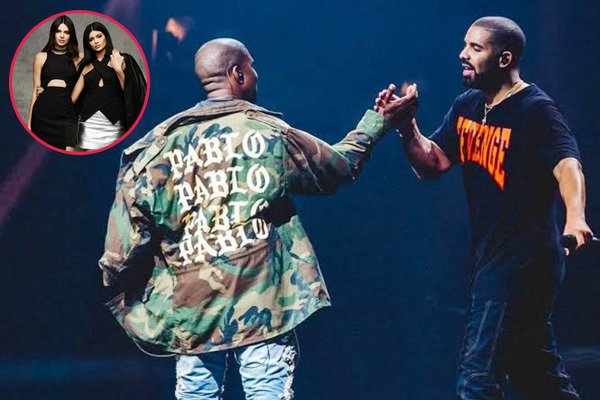 Kanye also called out Drake over the New Year's holiday, slamming him for following Kim on Instagram. MUMBAI: Mandy Moore’s husband Taylor Goldsmith has described the singer-actress as the bravest and baddest wife. MUMBAI: The Korean wave has finally reached the Indian shores with IN2ITXION. K-pop group IN2IT with guest star AleXa will be touring India from 13 April 2019. IN2IT comprises of six boys that were selected from an audition process.